Very simple to use. Very precise. Weighs in kilograms, grams, ounces, or pounds. Features an LCD display with blue backlight for easy reading. More excess luggage with Ryanair, easyJet and other carriers picky. 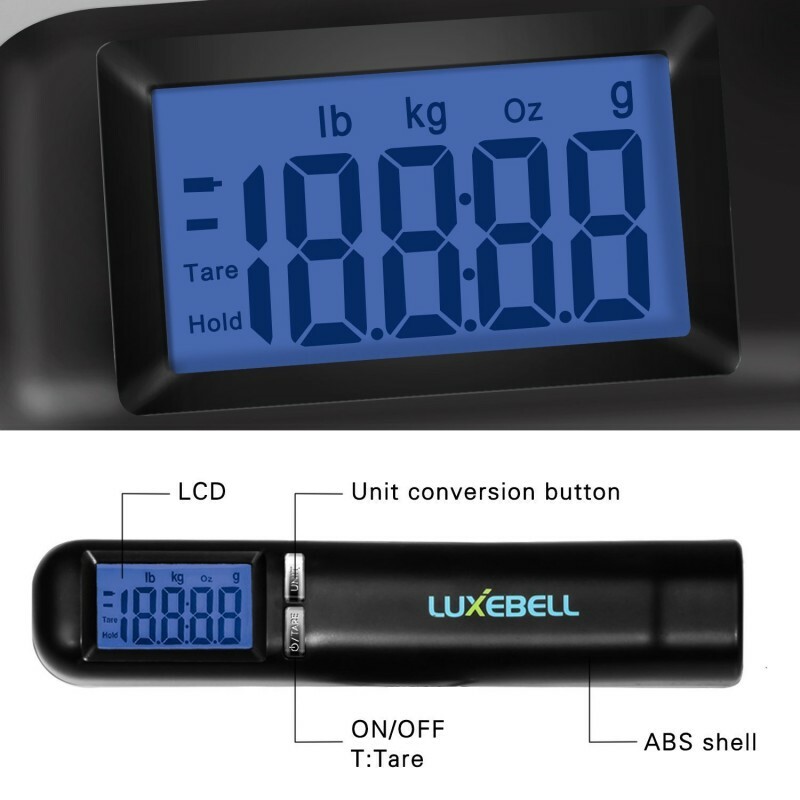 Convenient handle with display on top: no need to look to read the weight. Can weigh 50 kilos of luggage, close to 10 grams. 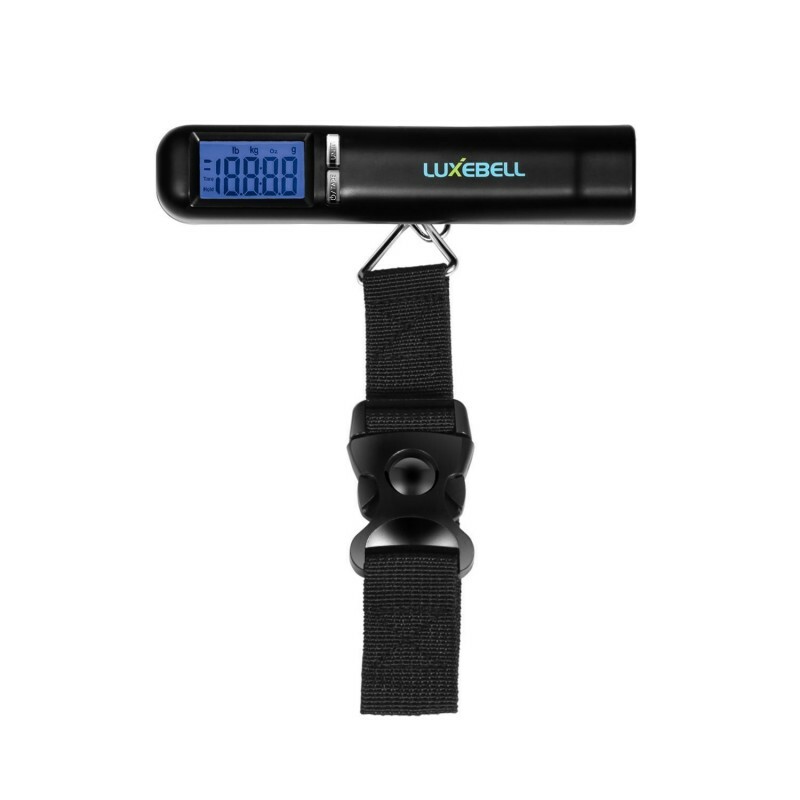 Simply attach the strap to hang the bag, backpack or travel bag and weigh: the weight display automatically within 5 seconds. 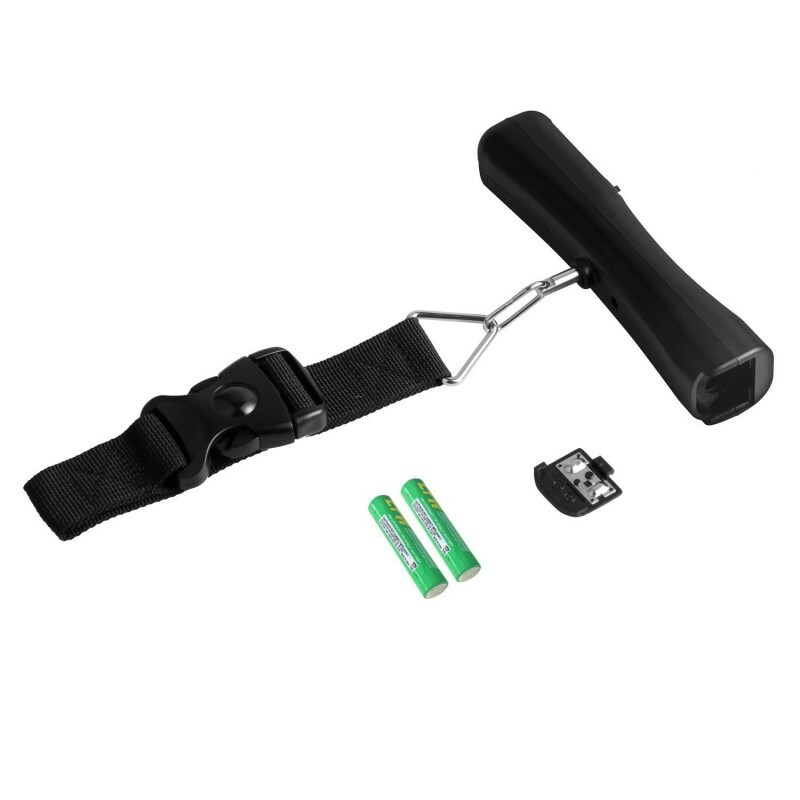 PROVIDED batteries - 2 AAA batteries. You may also be useful in the kitchen. Warranty or immediate repayment accuracy! 1 year warranty. A new excellent model with practical handle ergonomically designed for easy weighing. 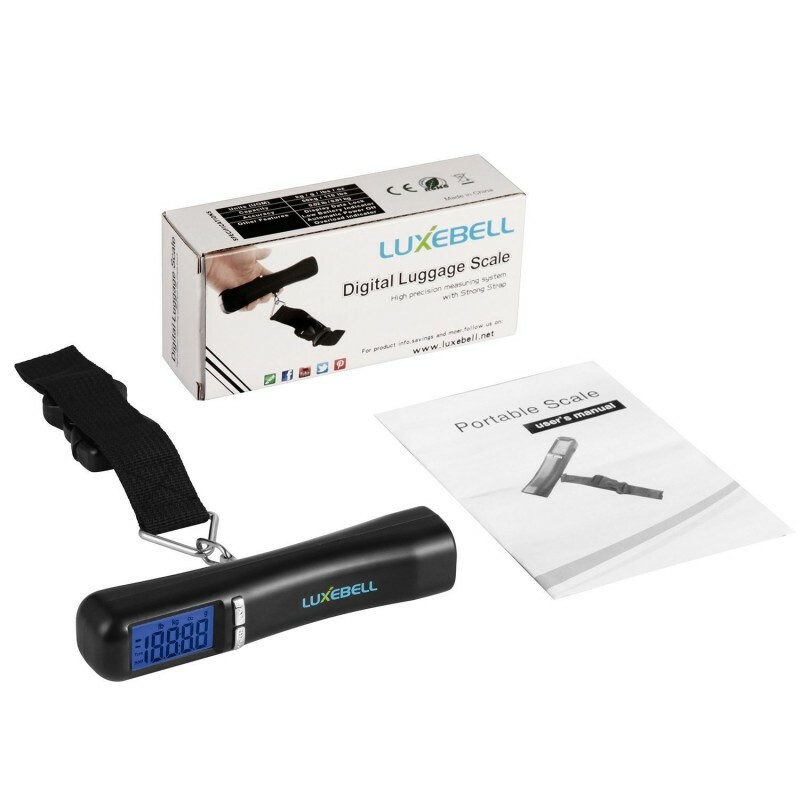 Features an LCD display on the top of the handle to easily read the weight. Never be anxious to pay overweight fees at the airport! Stop using your bathroom scale to weigh your luggage, it is usually not accurate enough for this! Carriers like Ryanair or EasyJet are very strict about luggage weight and you have to pay high fees if you exceed the limits imposed. 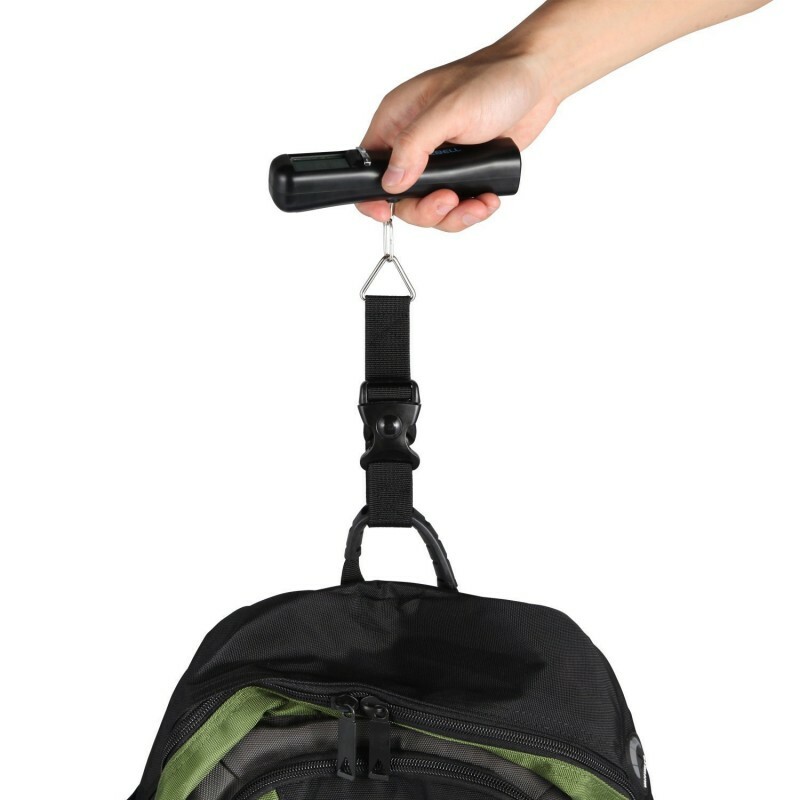 Here is the essential travel accessory: small and incredibly light (175 grams), you can carry it directly to you without you getting caught in a foreign airport with too many Christmas gifts! It also has multiple functions such as reset, auto power off, storing information, an indication of overload, low battery indication and a blue backlight. Precise weighing sensor. 1 year warranty, money back guarantee.